Because ProviderGateway™ is completely web-based and offers the benefits of reduced reliance on paper processing, while integrating multiple facets of client services. 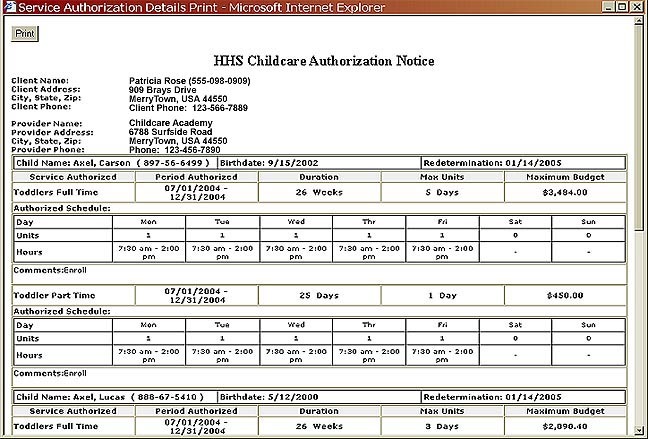 For voucher-based or pre-authorized childcare services in a County or State, ProviderGateway™ enables the creation of the authorizations on-line, while automatically notifying the home or center based provider of the authorization. All services are tracked against this notice, ensuring that all services recorded for a client conform to the specified boundaries. This way, whenever extraneous services are billed for, the system flags a warning to the provider and also to the paying agency. This helps to substantially reduce or eliminate the incidences of inappropriate billings and other errors typically found I paper based systems. 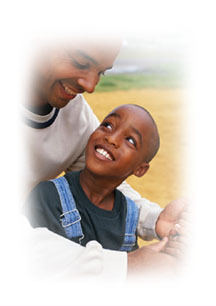 When integrated with other programs, the Childcare system supplies enrollment and charge data to the parent profile, thereby ensuring that case managers are aware of the full scope of services being provided to a parent. Front-line workers easily track service authorizations from issue to expiration, monitoring eligibility status, and on-line submissions of attendance, services and charges. 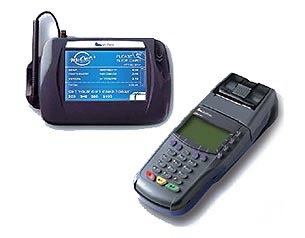 ProviderGateway™ is compatible with leading edge technologies such as EBT-style swipe cards (Verifone partner) for expedient authentication at points-of- service (classrooms, provider locations) that enable instant reconciliation to program and financial reporting functions. Other custom interfaces are available.